Why would I need self storage in Hampton, VA? There are a variety of reasons why you might need self-storage in Hampton, VA.
How much is a storage unit in Hampton, VA? The cheapest storage unit in Hampton, VA is $63.00 per month. What size storage units do you have available in Hampton, VA? In Hampton, VA we have sizes that range from 5'x5' to 10'x25' to suit your storage needs. How much is it for a 5'x5' storage unit in Hampton, VA? The cheapest 5'x5' storage unit in Hampton, VA is $63.00 per month. Hampton is a large, diverse city located in far eastern Virginia. It's one of the seven principal cities of the Hampton Roads metro area and home to one of the busiest ice-free harbors in the nation. Hampton offers a balanced mix of residential communities, thriving retail centers and interesting local attractions. Hampton considers itself a city of firsts. Not only does the city claim the first offering of free public education, but it's also the place where NASA trained its first astronauts. Hampton was also the first continuous English-speaking settlement in the country, a fact that has played a major part in it leading the country through many historic events. When Captains John Smith, Bartholomew Gosnold and Christopher Newport sailed in from England, they originally arrived at a Kecoughtan Indian village that later became Hampton. However, at the time, the captains continued sailing farther up the James River to settle Jamestown. In 1610, as settlers were founding towns around the area, colonists eventually established their own small town of Hampton. 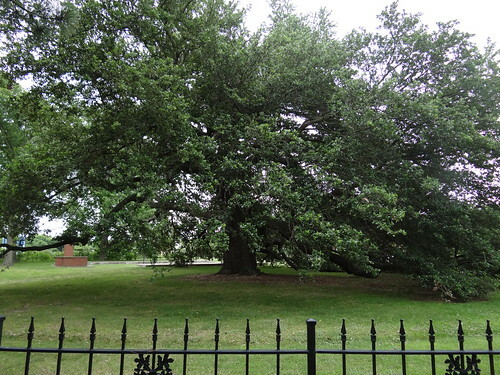 As time progressed, Hampton witnessed other significant events, such as the first meeting of ironclad warships in the waters off the town's coast in 1862 and the first southern reading of the Emancipation Proclamation in 1863 at the Emancipation Oak. Hampton is divided into several major neighborhoods, including Fox Hill, Aberdeen Gardens and Phoebus. Each of these neighborhoods features distinct personalities, and many of them include historical properties that date back to the city's early years. The city offers a wide range of amenities, conveniently spread throughout the community and easily accessible from its residential communities. Everyday necessities like grocery stores, coffee shops, fitness centers and gas stations are all within easy reach. The Buckroe Beach Farmers Market offers a variety of fresh produce, baked goods and crafts, as well as the opportunity to get to know your neighbors. A number of local parks and recreational facilities can also be found throughout Hampton. Hampton is host to many special events that draw visitors and locals alike. Highlights of the year include the International Children's Festival, the Hampton Jazz Festival and the Hampton Cup Regatta. Hampton City Schools manages the public schools throughout the city. In addition to its regular campuses, the district offers magnet, fundamental and arts-focused schools. You can also find a handful of private schools in Hampton. If you're considering pursuing your college degree, you can attend one of the colleges and universities in the city: Hampton University, Thomas Nelson Community College or Bryant & Stratton College Hampton. Among these campuses you can choose from a variety of bachelor's, master's and doctoral programs, as well as continuing education and certificate programs. Utilities: Hampton's primary utilities providers include Dominion Energy, Virginia Natural Gas and the city's public works department. Garbage and Recycling: The city facilitates weekly collection of trash and yard waste. Recycling collection is provided every other week. Transportation: The Hampton Transit Center is a convenient hub for local public transportation, including an inter-city and regional bus system, and Amtrak and Greyhound service. Even though Hampton is a waterfront city, there are still affordable homes throughout the area. In fact, the estimated median home value in Hampton is well below the national average. The Hampton housing market has a wide range of options, including new construction, cozy town houses and spacious single-family homes on large lots. Our lowest priced units in Hampton, VA average $66.50 per month. 117 people have reserved units in Hampton, VA in the past 30 days. There are 2 locations within Hampton, VA's city limits. There is 1 location in Hampton, VA that offers AC and Heating features.